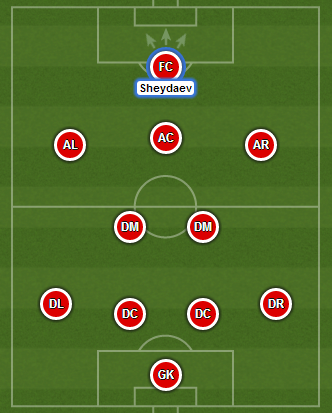 2013 UEFA European Under-17 Championship winner with Russia. 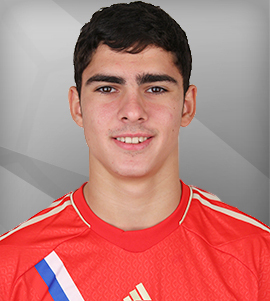 Ramil Sheydaev comes from Zenit’s youth academy, which has been very prosperous for many years. Recentl graduates include Vyacheslav Malafeev, Igor Denisov or Andrey Arshavin. It’s worth noting that Ramil has Azerbaijani roots, but has been a youth Russian international since 2011. He’s already managed to get nearly 50 caps for the various youth teams. The wider world first heard of him at 2013 UEFA European Under-17 Championship, where he didn’t play due to suspension, but joined the team for the semifinal and final, where he scored in the penalty shoot-out and won the European Championship with his side. A few months later, he played at the 2013 FIFA U-17 World Cup, where he scored two goals, but young Sborna got knocked out against Brazil in the last 16. Currently he is one of the biggest stars in the U-19 Russian national team.